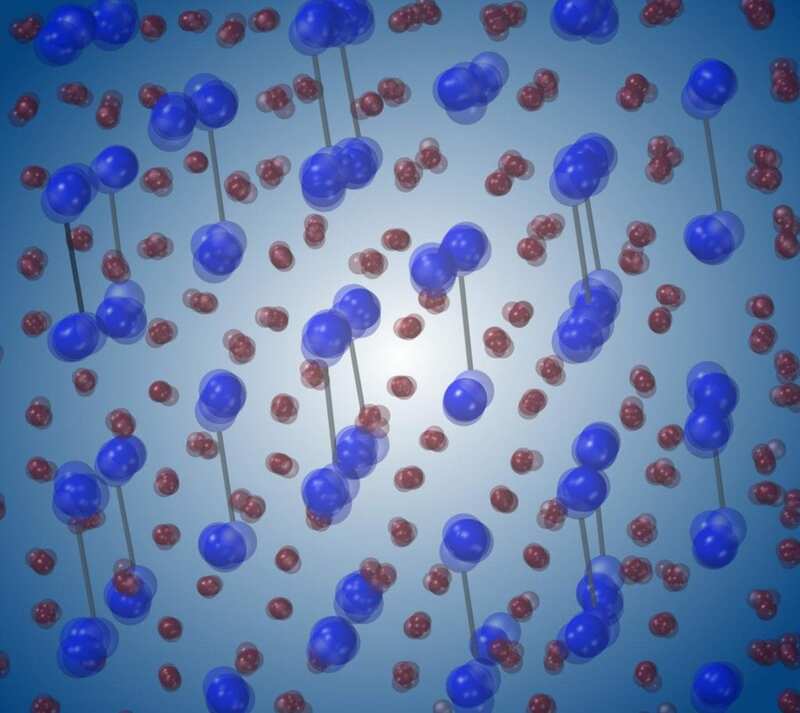 DURHAM, N.C. — Researchers have peeked behind the curtain of the ultrafast phase transition of vanadium dioxide and found its atomic theatrics are much more complicated than they thought. It's a material that has fascinated scientists for decades for its ability to shift from being an electrical insulator to a conductor. The study, which appears Nov. 2 in the journal Science, is a collaboration between researchers at Duke University, the SLAC National Accelerator Laboratory at Stanford, the Barcelona Institute of Science and Technology, Oak Ridge National Laboratory, and the Japan Synchrotron Radiation Research Institute. Vanadium dioxide has been intensely studied by researchers for more than five decades because of its unusual ability to switch from insulator to conductor at the conveniently attainable temperature of 152 degrees Fahrenheit. While other materials are also capable of this transition, most occur well below room temperature, making vanadium dioxide a better option for practical applications. More recently, materials scientists have explored how this same phase transition takes place when the material's atomic structure is excited by an extremely short, ultrafast laser pulse. What makes the phenomenon so challenging to study is the remarkable speed at which it happens — about 100 femtoseconds. That's one tenth of a millionth of a millionth of a second. The ultra-bright X-ray pulses at SLAC's Linac Coherent Light Source (LCLS), however, are even faster. By triggering vanadium dioxide's electrical phase transition with a femtosecond laser and then pinging its atoms with X-ray pulses just tens of femtoseconds long, researchers were able to watch the transition unfold in full detail for the first time. They found that, rather than transitioning from one atomic structure to another in a direct, collaborative manner, the vanadium atoms arrived at their destinations through more unpredictable routes and independently of each other. "It was proposed that the material would go from one crystalline structure to the other by following a deterministic, well-defined shuffling," said Olivier Delaire, associate professor of mechanical engineering and materials science at Duke and one of the leaders of the study. "Instead we discovered that, even within a single transition, each atom is doing its own thing independently of the others." "The disorder we found is very strong, which means we have to rethink how we study all of these materials that we thought were behaving in a uniform way," said Simon Wall, an associate professor at the Institute of Photonic Sciences in Barcelona and one of the leaders of the study. "They don't move smoothly into their new positions like band members marching down a field; they stagger around like partiers leaving a bar at closing time," Wall said. "If our ultimate goal is to control the behavior of these materials so we can switch them back and forth from one phase to another, it's much harder to control the drunken choir than the marching band." To unravel the meaning of the experimental observations, Delaire's group at Duke also led supercomputer simulations of atomic dynamics in the material. The simulations ran on supercomputers at the National Energy Research Scientific Computing center and the Oak Ridge Leadership Computing Facility. "It was mind-blowing when my student Shan Yang showed me the results of her quantum simulations of atomic motions," continued Delaire. "It almost perfectly matched the experimental 'movies' of recorded X-ray intensities, even without the need for adjustable parameters." Previous studies did not have access to the spatial and temporal resolution offered by the LCLS, and could only measure averages of the material's atomic behaviors. Because of these limitations, they could not see the importance of random deviations from the average motions of vanadium atoms. With the sensitivity of the LCLS however, researchers could get a much clearer picture of what was going on. "It's sort of like astronomers studying the night sky," said Delaire. "Previous studies could only see the brightest stars visible to the naked eye. But with the ultrabright and ultrafast x-ray pulses, we were able to see the faint and diffuse signals of the Milky Way galaxy between them." This study, and others like it, are key to understanding the behavior of photo-excited materials. For example, if properly harnessed, the atomic reaction of vanadium dioxide revealed in this study could form the basis of ultrafast transistors for computers combining photons and electrons. And researchers are also using this general concept in the pursuit of the dream of room-temperature superconductors. "The new knowledge we gained into the process of the photo-induced insulator-to-metal transition in vanadium dioxide should be directly relevant to re-evaluating our understanding of other materials," said Delaire. "We're just starting to explore this new realm of being able to control the behaviors of materials just by shining light on them, and combining state-of-the-art x-ray facilities with supercomputers to follow what's happening. And we're finding out that the atomic dynamics involved are even more complicated than we had previously thought." This research was supported by the Department of Energy (DE-SC0016166, DE-AC02-76SF00515, DE-AC02-76SF00515, DE-AC02-05CH11231, DE-AC05-00OR22725).